Amber: Mineral information, data and localities. In order to qualify as "amber", it is NOT sufficient for a tree resin merely to harden by losing its volatiles, the molecules have to polymerize, which can take millions of years (or at least 100,000 years). After polymerization, amber becomes significantly less soluble in common organic solvents, and so will not become sticky if wetted with alcohol, acetone or gasoline. Much of the material marketed as "amber" (especially that from Colombia and Madagascar) is far too young to be considered amber and is in reality just dried tree resin. The oldest amber recovered dates to the Upper Carboniferous period (320 million years ago). Amber is heterogeneous in composition but consists of several resinous materials more or less soluble in alcohol, ether, and chloroform, associated with an insoluble bituminous substance. 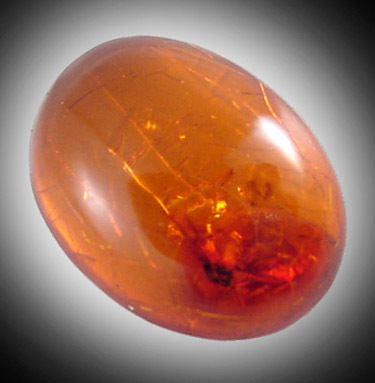 Amber comprises macromolecules formed by free radical polymerization of several precursors in the labdane family, e.g. communic acid, cummunol, and biformene. These labdanes are diterpenes (C20H32) and trienes, equipping the organic skeleton with three alkene groups for polymerization. As amber matures over the years, more polymerization takes place as well as isomerization reactions, crosslinking and cyclization. Visit gemdat.org for gemological information about Amber. Almashite A variety of amber low in oxygen. Originally reported from Almas Valley, Piatra, Neamt Co., Romania. Ambrosine Amber containing much succinic acid. Originally described from Charleston, Charleston Co., South Carolina, USA. Bacalite A white or yellow variety of amber (or quartz) from Baja California, Mexico. Burmite A generally deep red amber from Burma. An amber occurring in the upper Hukong Valley, Burma. 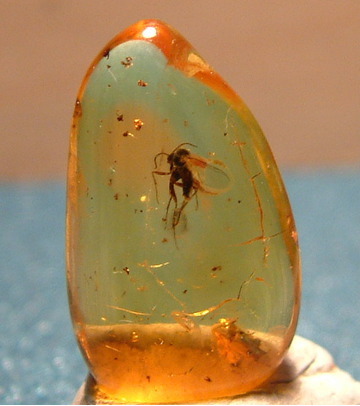 Differs from ordinary amber in that it doesn't contain succinic acid. Delatynite A variety of amber from the area near Delyatyn, Ukraine. Gedanite A resin resembling amber but with little succinic acid. Originally described from Gdansk (Danzig), Pomorskie, Poland. Originally reported from Jauling, St Veit an der Triesting, Bad Vöslau, Lower Austria, Austria. Jelinite A variety of amber from Ellsworth Co., Kansas, USA. Kochenite Originally reported from Kochen valley, Telfs, Inn valley, North Tyrol, Tyrol, Austria. Originally reported from Olanesti, Valcea Co., Romania. Plaffeiite Name for an upper paleozoic (Gurnigelflysch formation) amber from Switzerland (Höllibach near Plasselb, not far from Plaffeien, ca. 15 km SE of Fribourg). Rosthornite An ill-defined resin, resembling amber and jaulingite. Originally reported from Sonnberg, Guttaring, Friesach - Hüttenberg area, Carinthia, Austria. Coal 1 photo of Amber associated with Coal on mindat.org. Flamini A., Graziani G., Grubessi O. (1974) Inclusi di solfuro di ferro nelle ambre baltiche. Periodico di Mineralogia: 331-338. Anderson, K., Winans, R., Botto, R. (1992): The nature and fate of natural resins in the geosphere—II. Identification, classification and nomenclature of resinites. Organic Geochemistry 18 (6), 829–841. The following Amber specimens are currently listed for sale on minfind.com. Earle, K. W. (1922). Reports on the Geology of St. Kitts-Nevis, BWI, and the Geology of Anguilla, BWI. Crown Agents for the Colonies. Kirejtshuk, A. G., Merkl, O., & Kernegger, F. (2008). A new species of the genus Pentaphyllus Dejean, 1821 (Coleoptera: Tenebrionidae, Diaperinae) from the Baltic amber and checklist of the fossil Tenebrionidae. Zoosyst Ross, 17, 131-137. On exhibit in the Museum "Haus der Natur", Salzburg. - J.Schadler, in: Bernstein, in Steinkohle der Oberkreide mit wenig Schwefelkies und gelben Anflug von Realgar. (Handschriftliche Aufzeichnungen). - H.Commenda, in: Übersicht der Gesteine und Mineralien Oberösterreichs. 1. Gesteine. Heimatgaue, Zeitschrift für oberösterreichische Geschichte, Landes - und Volkskunde 7, Heft 1, Linz 1926, Seite 41 – 65. - G.Geyer, in: Erläuterungen zur Geologischen Karte SW - Gruppe 12, Weyer. Kaiserlich & königliche Geologischen Reichsanstalt, Wien (1911). - Gerhard Brandstetter, in: Mineralogische und paläontologische Notizen aus Oberösterreich. OÖ Geonachrichten, Beiträge zur Geologie, Mineralogie und Paläontologie von Oberösterreich.15. Jahrgang (2000), Seite 16 – 22, 7 Abbbildungen. MFOÖ Mineralien - und Fossiliensammler Oberösterreichs mit ARGE Mineralogie, Geologie und Paläontologie im Oberösterreichischen Landesmuseum. Simandl, G.J. (2009): Nonmetallic minerals other than coal: Industrial minerals, gemstones and aggregate in British Columbia, Canada; British Columbia Geological Survey, Paper 2009‐2, pages. http://www.ravsiden.dk/ ; Szwedo, J. (2002). Amber and amber inclusions of planthoppers, leafhoppers and their relatives (Hemiptera, Archaeorrhyncha et Clypaeorrhyncha). Zikaden. Leafhoppers, planthoppers and cicadas (Insecta: Hemiptera: Auchenorrhyncha). Denisia, 4, 37-56. - Langenheim J. H. (1969): Amber. A botanical inquiry. Science, 163, 1157-1169. - Larsson S.G. (1978): Baltic Amber - a Palaeobiological Study. Entomograph Volume 1. Scandinavian Science Press Ltd., Klampenborg - Denmark, 192 pp. NÉRAUDEAU D., PERRICHOT V., DEJAX J., MASURE E., NEL A., PHILIPPE M., MOREAU P., GUILLOCHEAU F. & GUYOT T. 2002. — Un nouveau gisement à ambre insectifère et à végétaux (Albien terminal probable) : Archingeay (Charente-Maritime, France). Geobios 35: 233-240. Jahn, S. (2013): Der Kalksteinbruch Rüdersdorf bei Berlin. Mineralien-Welt 24 (3), 44-88. [www.johnbetts-fineminerals.com]; Szwedo, J. (2002). Amber and amber inclusions of planthoppers, leafhoppers and their relatives (Hemiptera, Archaeorrhyncha et Clypaeorrhyncha). Zikaden. Leafhoppers, planthoppers and cicadas (Insecta: Hemiptera: Auchenorrhyncha). Denisia, 4, 37-56. Krul, H. (1969) Geologische zwerftochten. N.V. W.J. Thieme & Cie - Zutphen, Netherlands, 161 pp. (in Dutch). ; Wittern, A. (2001) Mineralfundorte in Deutschland. Schweizerbart (Stuttgart). Mantovani P. (1877): Ligniti nella provincia di Reggio Calabria. Boll. R. Com. Geol. d'Italia, 8, 376-377; Jervis G. (1881): I tesori sotterranei dell'Italia. Vol. 3: Regioni delle Isole. Sardegna e Sicilia. Addenda ai precedenti volumi. Loescher, Torino, XXII+539 pp. Bombicci, L. (1873) Descrizione della mineralogia generale della provincia di Bologna. Prima parte. Memorie della R. Accademia delle Scienze dell'Istituto di Bologna, serie 3, 4, 59-139. Bombicci, L. (1890) La collezione di Ambre Siciliane posseduta dal museo di Mineralogia della R. Università di Bologna (dono del Ministero di pubblica istruzione nel 1889) e nuove considerazioni sull’origine dell’Ambra gialla. Memorie della R. Accademia delle Scienze dell'Istituto di Bologna, serie 4, 10 (1889-1990), 473-486; Bombicci, L. (1894) Descrizione degli esemplari di solfo nativo cristallizzato delle solfare di Romagna raccolti e classificati dall'autore nel Museo mineralogico della R. Università di Bologna. Memorie della R. Accademia delle Scienze dell'Istituto di Bologna, serie 5, 4, 737-816; Skalski, A.W., and Viggiani, A. (1990) Fossil resin in Sicily and the northern Apennines: geology and organic content. Praze Muzeum Ziemi, 41, 37–49. Skalski, A.W., and Viggiani, A. (1990) Fossil resin in Sicily and the northern Apennines: geology and organic content. Praze Muzeum Ziemi, 41, 37–49; Angelini, I., and Bellintani, P. (2005) Archaeological ambers from northern Italy: an FTIR-DRIFT study of provenance by comparison with the geological amber database. Archaeometry, 47, 2, 441–454; http://www.academia.edu/991620/northern_Italy_ARCHAEOLOGICAL_AMBERS_FROM_NORTHERN_ITALY_AN_FTIR_DRIFT_STUDY_OF_PROVENANCE_BY_COMPARISON_WITH_THE_GEOLOGICAL_AMBER_DATABASE; Neri, M., Roghi, G., Ragazzi, E., Fornaciari, E., Giusberti, L., and Papazzoni, C.A. (2016) Nuovi dati stratigrafici sull'ambra di Castelvecchio di Prignano (MO). In: Rook, L., Bartolini, S., and Ghezzo, E. (eds.) Paleodays 2016. La Società Paleontologica Italiana a Faenza. XVI Riunione annuale SPI (Società Paleontologica Italiana). Museo Civico di Scienze Naturali "Malmerendi", Faenza, 25-27 maggio 2016. Volume dei riassunti e guida all'escursione, page 63. Adorni, F., Battilocchi, G., Bersani, D. & Calderini, V. (2010). Le septarie dell'Appennino Parmense. Rivista Mineralogica Italiana, 222-241. - Rimoli G., Dreon A.L. (1998): Notizie mineralogiche dell’area del pordenonese con particolare riguardo ai minerali della Val Cellina e della Val Colvera. Bollettino Società Naturalisti “Silvia Zenari”, 22, 45-62. - Ragazzi E., Avanzini M., Dieni I., Roghi G., Stefani C. (2012): New amber findings in Northeastern Italy: suggestions for an integrated view on fossil resin raison d’être. In: Bianchi V., Gattolin G., Rigo M. (eds. ): Note brevi e riassunti. X Congresso GEOSED “Associazione Italiana per la Geologia del sedimentario”, Feltre, 2-6 Luglio 2012. Rendiconti Online della Società Geologica Italiana, 20, 71-75. - Trevisani E., Ragazzi E. (2013): L’ambra nelle Alpi Meridionali: stato delle conoscenze. Quaderni del Museo di Storia Naturale di Ferrara, 1, 25-32. - Roghi G., Gianolla P., Ragazzi E. (2002): Paleobotanical features of Upper Triassic amber in the Southern Alps (Italy). Abstract, 6th European Paleobotany-Palynology Conference, Athens, unpaged. - Preto N., Roghi G., Gianolla P. (2005): Carnian stratigraphy of the Dogna area (Julian Alps, northern Italy): tessera of a complex palaeogeography. Boll. Soc. Geol. Ital., 124, 269-279. - Roghi G., Ragazzi E., Gianolla P. (2006): Triassic Amber of the Southern Alps (Italy). Palaios, 21, 143-154. - Roghi G., Ragazzi E., Fedele P. (2004): L’ambra Cretacea delle Dolomiti e delle Prealpi Giulie. Giornate di Paleontologia 2004, Bolzano, 21-23 Maggio, Abstracts Book, 52. - Trevisani E. (ed.) (2007): Ambra. Il fascino di una gemma tra mito, scienza e vanità. Minerva Edizioni, Bologna, 128 pp. - Trevisani E., Ragazzi E. (2013): L’ambra nelle Alpi Meridionali: stato delle conoscenze. Quaderni del Museo di Storia Naturale di Ferrara, 1, 25-32. Issel A. (1892): Liguria geologica e preistorica. A. Donath Editore, Genova, Vol. 1, 440 pp. ; Antofilli M., Borgo E., Palenzona A. (1985): I nostri minerali. Geologia e mineralogia in Liguria. II Edizione. SAGEP Editrice, Genova, 296 pp. Jervis, G. (1881) I tesori sotterranei dell'Italia. Vol. 3: Regioni delle Isole. Sardegna e Sicilia. Addenda ai precedenti volumi. Ermanno Loescher, Torino, XXII+539 pp. ; Mezzadri, P. (1988) La serie gessoso solfifera della Sicilia e altre memorie geo-minerarie. Roberto De Nicola Editore, Roma, 874 pp. - Ferrara F. (1805): Sopra l’Ambra Siciliana. In: Memorie sopra il Lago Naftia nella Sicilia Meridionale, sopra l'Ambra Siciliana, sopra il Mele Ibleo e la città d'Ibla Megara, sopra Nasso e Callipoli. Reale Stamperia, Palermo, 73-159. - Jervis G. (1881): I tesori sotterranei dell'Italia. Vol. 3: Regioni delle Isole. Sardegna e Sicilia. Addenda ai precedenti volumi. Loescher, Torino, XXII+539 pp. Bombicci, L. (1890) La collezione di Ambre Siciliane posseduta dal museo di Mineralogia della R. Università di Bologna (dono del Ministero di pubblica istruzione nel 1889) e nuove considerazioni sull’origine dell’Ambra gialla. Memorie della R. Accademia delle Scienze dell'Istituto di Bologna, serie 4, 10 (1889-1990), 473-486. Giardina G., Passerino G. (1998): Ambra in Provincia di Ragusa. Riv. Mineral. Ital., 22, 2, 50. - Maffi D., Maffi S. (1992): Le più antiche ambre delle Alpi. Paleocronache, 1-1992, 39-48. - Trevisani E., Ragazzi E. (2013): L’ambra nelle Alpi Meridionali: stato delle conoscenze. Quaderni del Museo di Storia Naturale di Ferrara, 1, 25-32. - Koken E. (1913): Beiträge zur Kenntnis der Schichten von Heiligenkreuz (Abteital, Südtirol). Abhandlungen der Kaiserlich-Königlichen Geologischen Reichsanstalt, 16, 4, 1-43. - Gianolla P., Roghi G., Ragazzi E. (1998): Upper Triassic amber in the Dolomites (Northern Italy). A paleoclimatic indicator? Rivista Italiana di Paleontologia e Stratigrafia, 104, 381-390. - Ragazzi E., Fedele P., Gianolla P., Roghi G. (2003): L’ambra triassica delle Dolomiti. Riv. Mineral. Ital., 27, 1, 21-22. Stoppani A. (1886): L’ambra nella storia e nella geologia con speciale riguardo agli antichi popoli d’Italia nei loro rapporti colle origini e collo svolgimento della civiltà in Europa. Fratelli Dumolard Editori, Milano, xxi+277 pp. - Trevisani E., Ragazzi E. (2013): L’ambra nelle Alpi Meridionali: stato delle conoscenze. Quaderni del Museo di Storia Naturale di Ferrara, 1, 25-32. - Ragazzi E., Avanzini M., Dieni I., Roghi G., Stefani C. (2012): New amber findings in Northeastern Italy: suggestions for an integrated view on fossil resin raison d’être. In: Bianchi V., Gattolin G., Rigo M. (eds. ): Note brevi e riassunti. X Congresso GEOSED “Associazione Italiana per la Geologia del sedimentario”, Feltre, 2-6 Luglio 2012. Rendiconti Online della Società Geologica Italiana, 20, 71-75. - Trevisani E., Ragazzi E. (2013): L’ambra nelle Alpi Meridionali: stato delle conoscenze. Quaderni del Museo di Storia Naturale di Ferrara, 1, 25-32. Sammartino, F. (2015-2016) Primo ritrovamento di ambra sui Monti Livornesi. Nota preliminare. Quaderni del Museo di Storia Naturale di Livorno, 26, 117-120. - Roghi G., Ragazzi E., Fedele P. (2004): L’ambra Cretacea delle Dolomiti e delle Prealpi Giulie. Giornate di Paleontologia 2004, Bolzano, 21-23 Maggio, Abstracts Book, 52. - Trevisani E., Ragazzi E. (2013): L’ambra nelle Alpi Meridionali: stato delle conoscenze. Quaderni del Museo di Storia Naturale di Ferrara, 1, 25-32. - Gianolla P., Roghi G., Ragazzi E. (1998): Upper Triassic amber in the Dolomites (Northern Italy). A paleoclimatic indicator? Rivista Italiana di Paleontologia e Stratigrafia, 104, 381-390. - Roghi G., Gianolla P., Ragazzi E. (2002): Paleobotanical features of Upper Triassic amber in the Southern Alps (Italy). Abstract, 6th European Paleobotany-Palynology Conference, Athens, unpaged. - Ragazzi E., Fedele P., Gianolla P., Roghi G. (2003): L’ambra triassica delle Dolomiti. Riv. Mineral. Ital., 27, 1, 21-22. 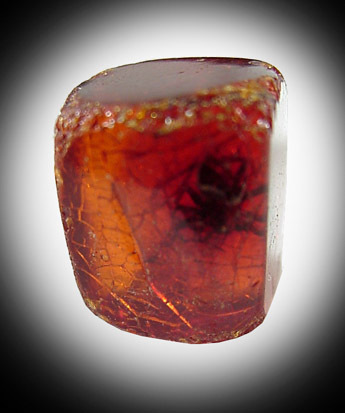 - Roghi G., Ragazzi E., Gianolla P. (2006): Triassic amber of the Southern Alps (Italy). Palaios, 21, 2, 143-154. - Ragazzi E., Roghi G. (2003): Prima segnalazione di ambra nei sedimenti oligocenici di Salcedo (Vicenza) e di Sedico (Belluno). Studi e Ricerche, Associazione Amici del Museo Civico “G. Zannato”- Museo Civico “G. Zannato”, Montecchio Maggiore, 10, 19-22. - Trevisani E., Ragazzi E. (2013): L’ambra nelle Alpi Meridionali: stato delle conoscenze. Quaderni del Museo di Storia Naturale di Ferrara, 1, 25-32. - Neri M., Roghi G., Ragazzi E., Papazzoni C.A. (2013): Segnalazione di ambra giurassica a Bellori (VR), Calcari Grigi, Giurassico inferiore. Giornate di Paleontologia, Perugia 23-25 maggio 2013, Volume dei Riassunti, 51. - Trevisani E., Ragazzi E. (2013): L’ambra nelle Alpi Meridionali: stato delle conoscenze. Quaderni del Museo di Storia Naturale di Ferrara, 1, 25-32. - Trevisani E., Papazzoni C.A., Ragazzi E., Roghi G. (2005): Early Eocene amber from the “Pesciara di Bolca” (Lessini Mountains, Northern Italy). Palaeogeography, Palaeoclimatology, Palaeoecology, 223, 3-4, 260-274. - Trevisani E., Ragazzi E. (2013): L’ambra nelle Alpi Meridionali: stato delle conoscenze. Quaderni del Museo di Storia Naturale di Ferrara, 1, 25-32. - Boscardin M., Violati Tescari O. (1996): Gemme del Vicentino. Comune di Montecchio Maggiore, Museo Civico “G. Zannato”, Montecchio Maggiore, 114 pp. - Trevisani E., Papazzoni C.A., Ragazzi E., Roghi G. (2005): Early Eocene amber from the “Pesciara di Bolca” (Lessini Mountains, Northern Italy). Palaeogeography, Palaeoclimatology, Palaeoecology, 223, 3-4, 260-274. - Trevisani E., Ragazzi E. (2013): L’ambra nelle Alpi Meridionali: stato delle conoscenze. Quaderni del Museo di Storia Naturale di Ferrara, 1, 25-32. Ryoichi SADANAGA and Michiaki BUNNO (1974) THE WAKABAYASHI MINERAL COLLECTION Bulletin No. 7 The University Museum, The University of Tokyo; Szwedo, J. (2002). Amber and amber inclusions of planthoppers, leafhoppers and their relatives (Hemiptera, Archaeorrhyncha et Clypaeorrhyncha). Zikaden. Leafhoppers, planthoppers and cicadas (Insecta: Hemiptera: Auchenorrhyncha). Denisia, 4, 37-56. Kuji Amber Museum; American Museum of Natural History (New York); Szwedo, J. (2002). Amber and amber inclusions of planthoppers, leafhoppers and their relatives (Hemiptera, Archaeorrhyncha et Clypaeorrhyncha). Zikaden. Leafhoppers, planthoppers and cicadas (Insecta: Hemiptera: Auchenorrhyncha). Denisia, 4, 37-56. Dill, H. G., Kus, J., Abed, A. M., Sachsenhofer, R. F., & Abul Khair, H. (2009). Diagenetic and epigenetic alteration of Cretaceous to Paleogene organic-rich sedimentary successions in northwestern Jordan, typical of the western margin of the Arabian Plate. GeoArabia, 14(2), 101-140. Soriano, C. (2009). 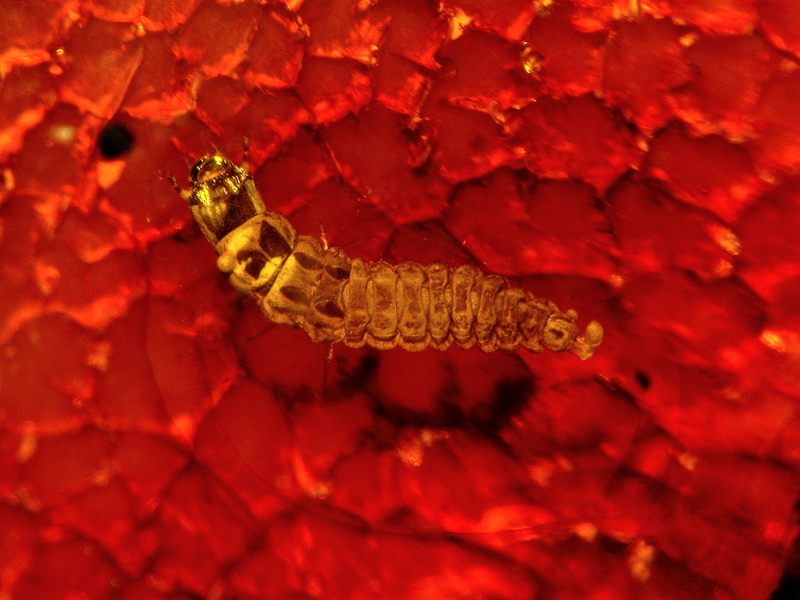 First record of the family Belidae (Insecta, Coleoptera) in amber. New genus and species from the uppermost Albian amber of France. Geodiversitas, 31(1), 99-104. Dreimanis A., Liepiņš P. 1942. Latvijas minerāli un ieži. Rīga, Universitātes apgāds, 312 lpp. Szwedo, J. (2002). Amber and amber inclusions of planthoppers, leafhoppers and their relatives (Hemiptera, Archaeorrhyncha et Clypaeorrhyncha). Zikaden. Leafhoppers, planthoppers and cicadas (Insecta: Hemiptera: Auchenorrhyncha). Denisia, 4, 37-56. Bryant, D. D. (1983). A recently discovered amber source near Totolapa, Chiapas, Mexico. American Antiquity, 354-357. Cruickshank, R. D., & Ko, K. (2003). Geology of an amber locality in the Hukawng Valley, northern Myanmar. Journal of Asian Earth Sciences, 21(5), 441-455. Gerard van der Veldt collection. Seyfullah, L.J., Sadowski, E-M, Schmidt, A.R. (2015) Species level determination of closely related arcucarian resins using FTIR spectroscopy and its implications for the provenance of New Zealand Amber, Department of Geobiology, University of Gottingen, Germany. Dunstan Times newspaper (1875) Mining Items, issue 671, 26 February 1875. Ferguson, D.K., Lee, D.E., Bannister, J.M., Zetter, R., Jordon, G.J., Vavra, N., Mildenhall, D.C. (2009) The taphonomy of a remarkable leaf bed assemblage from the Late Oligocene-Early Miocene Gore Lignite Measures southern New Zealand, International Journal of Coal Geology. Craw, D., Kerr, G., Reith, F., Falconer, D. (2015) Pleistocene paleodrainage and placer gold redistribution western Southland New Zealand, New Zealand Journal of Geology and Geophysics, 58:2, 137-153. Heys Mineral Index 3rd ed. Pavel M. Kartashov data; Krul, H. (1969) Geologische zwerftochten. N.V. W.J. Thieme & Cie - Zutphen, Netherlands, 161 pp. (in Dutch). Penalver, E., Delclos, X., & Soriano, C. (2007). A new rich amber outcrop with palaeobiological inclusions in the Lower Cretaceous of Spain. Cretaceous Research, 28(5), 791-802. Najarro, M., Penalver, E., PÉREZ‐DE LA FUENTE, R., ORTEGA‐BLANCO, J., MENOR‐SALVÁN, C., Barron, E., ... & Tornos, F. (2010). Review of the El Soplao amber outcrop, Early Cretaceous of Cantabria, Spain. Acta Geologica Sinica, 84(4), 959. Kunz, 1898. Gems & Precious Stones of N. America, p.202. Dempsky, M. R. (2010, March). Amber Inclusions in the Paleocene/Eocene Chickaloon Formation, Matanuska Valley, Alaska. In Geological Society of America Abstracts with Programs, (Vol. 42, No. 1, p. 186). Murdoch, Joseph (1934), Amber in California: Journal of Geology: 42: 309-310; Murdoch, Joseph & Robert W. Webb (1966), Minerals of California, Centennial Volume (1866-1966): California Division Mines & Geology Bulletin 189: 63. C. Lemanski, Jr. (re-entry lost Mindat data). Kunz,1892. Gems & Precious Stones of N. America, p.200. Kunz,1892. Gems & Precious Stones of N. America, p.201. The Minerals of NYC & Its Environs, NY Min. Club Bull. Vol. 3, No. 1, Manchester, J.G. (1931): 68. A Quest for New Jersey Minerals, Robert Speiser(1978). The Minerals of New York City & Its Environs, New York Mineralogical Club Bull. Vol. 5, No. 1, Manchester, J.G. (1931): 92. The Minerals of New York City & Its Environs, New York Mineralogical Club Bull. Vol. 5, No. 1, Manchester, J.G. (1931): 91; A Quest for New Jersey Minerals, Robert Speiser(1978). Sinkankas, J. (1976) Gemstones of North America, Vol. 2, p 351.